Hawaii is palm trees, black sand and blue water—but for policewoman Lei Texeira, there’s a dark side to paradise. Lei has overcome a scarred past to make a life for herself as a cop in the sleepy Big Island town of Hilo. On a routine patrol she finds two murdered teenagers—one of whom she’d recently busted. 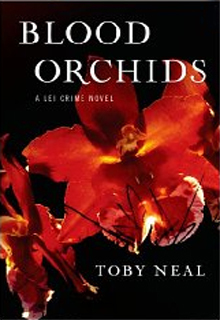 With its echoes of her own past, the murdered girl’s harsh life and tragic death affect Lei deeply. She becomes obsessed—even as the killer is drawn to Lei's intensity, feeding off her vulnerabilities and toying with her sanity. Despite her obsession with the case and fear that she's being stalked, Lei finds herself falling in love for the first time. Steaming volcanoes, black sand beaches and shrouded fern forests are the backdrop to Lei's quest for answers—and the stalker is closer than she can imagine, as threads of the past tangle in her future. Lei is determined to find the killer—but he knows where to find her first.